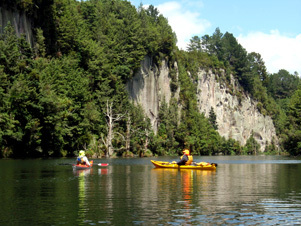 The Waikato region is a haven for water activities - there's so much to do, you'll have trouble deciding where to start! There is a boat ramp in Mangakino which is the main point of access for Lake Maraetai. Fishing on Lake Maraetai, Lake Taupo and other surrounding lakes and river: trout fishing is particularly bountiful with good numbers of both Brown Trout and Rainbow Trout. Boating, kayaking and waterskiing: Mangakino has six fresh water lakes in close proximity - making Mangakino Hotel the ideal base from which to explore the region. The lakes a small, sheltered and perfect for kayakers and rowers or, for something a little faster, come along to the annual Powerboat Championships. Picnic by the lake: There are plenty of beautiful picnic spots around Lake Maraetai and Lake Whakamaru - pack some lunch and explore the dams while you're there! Take a cruise: Spend some time and enjoy a leisurely trip on the historic paddle boat Otonui. You can even book your lake cruise through the Mangakino Hotel. Take some time to explore the region by foot - there are plenty of tracks, forests and small rural towns to discover. Guided walks and tramping: Choose from a variety of guided walks through beautiful and historical native forests or pick up a trail map from the Deptartment of Conservation and go tramping with friends. 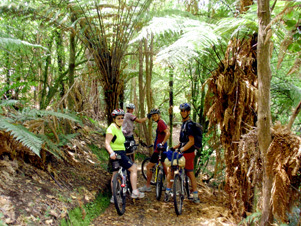 Click here for more information on trails in the Pureora region. Mountain Biking: There are three grades of exciting mountain biking trails available nearby in Pureora Forest. 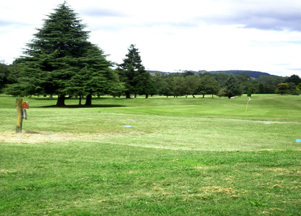 Golf: There is a 9-hole golf course in Mangakino which runs alongside Lake Maraetai. The course is an easy walking course with stunning lake and forest views. New members and green fee players are always welcome. Mangakino Moto X Park: If moto x is your thing - you will love this place. It's perfect in any weather (the muddier the better!) and follows the natural terrain of the land. Cycle or walk the Waikato River Trails - a great way to explore the riverside of New Zealand's longest river - the mighty Waikato. Covering approximately 100km of previously inaccessible land - the Waikato River Trails are perfect for cycling or walking over a day, or even a few if you want to experience it all. Mangakino Hotel offers a convenient drop-off and pick-up shuttle service, so you don't need to leave your car in the middle of nowhere! Contact us for more information.